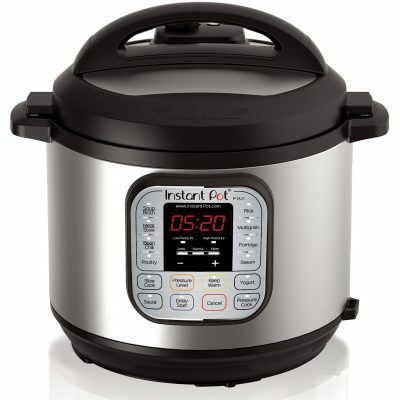 Lowest price ever on the Instant Pot DUO60 6 Qt 7-in-1 Multi-Use Programmable Pressure Cooker! Get it today for only $58.99! The lowest we’ve ever seen it before is $68.95 for Black Friday so this is a huge savings. If you’ve been waiting for the right price on the Instant Pot, now is the time to buy. Don’t know why the Instant Pot is such a big deal? Learn more about why we love the Instant Pot so much here.